“Perceval’s Narrative: A Patient’s Account of His Psychosis, 1830-1832” (1979), is edited, with and Introduction by Gregory Bateson. This is likely the first account by a person with diagnosed schizophrenia, and it is a remarkable document. John Perceval was the son of a prime minister of England, who was assassinated when John was 9 years old. John, the fifth child of 12, was involuntarily incarcerated in an asylum in Bristol, England, when he was 27 years old. He was in the military. He was severely disturbed by religious conflict. He went briefly to Oxford, then joined an evangelical Christian cult. He began acting in a disordered manner and was placed under restraint in December, 1831. He remained in the Bristol institution until May, 1832 when he was moved to an asylum in Sussex, England. He remained there until the beginning of 1834. Because of John’s intelligence and ability to articulate his journey into and out of his mental illness, we have his recorded narrative. I will share just some of his own descriptions of his mental state and insights into his condition and then comment on a few critical theoretical issues raised by Bateson in his Introduction. Based on Perceval’s own narrative, it would seem that he “spontaneously recovered” from his schizophrenia and that the so-called curative factors were somehow built into his delutionary voices. Bateson even suggests that Perceval’s mental illness may have been an initiatory ceremony: “But it would appear that Perceval was a better, happier, and more imaginative man after his psychotic experience and I have suggested that the psychosis is more like some vast and painful initiatory ceremony conducted by the self.” (p.xix) This interpretation of Perceval’s journey provides the basis of lines of thinking about a psychotic experience as an almost sacred journey of discovery. And part of this line suggests that schizophrenia can be brought about by conflicts within families which may construct double binds, and that the way out of the conflicts may be to provide alternatives to the double binds. This line of thinking, which has been taken up by some family systems and family therapy approaches, and credited to Bateson, is still active, even in this era of bio-chemical-genetic interpretations of the causes and potential cures for psychoses. Saks provides some of the best descriptions of what living with schizophrenia has been like in her best selling book, “The Center Cannot Hold” (2007). “This experience is much harder, and weirder, to describe than extreme fear or terror. Most people know what it is like to be seriously afraid. But explaining what I’ve come to call ‘disorganization’ is a different challenge altogether. Consciousness gradually loses its coherence. One’s center gives way. The center cannot hold. The ‘me’ becomes a haze, and the solid center from which one experiences reality breaks up like a bad radio signal” “No organizing principle takes successive moments in time and puts them together in a coherent way from which sense can made. And it’s all taking place in slow motion.” (p13). Saks has become a significant spokesperson for combining medication and talk therapy for managing schizophrenia. “Medication has no doubt played a central role in helping me to manage my psychosis, but what has allowed me to see the meaning in my struggles – to make sense of everything that happened before and during the course of my illness, and to mobilize what strengths I may possess into a rich and productive life- is talk therapy. People like me with a thought disorder are not supposed to benefit much from this kind of treatment, a talk therapy oriented toward insight and based upon a relationship. But I have. There may be a substitute for the human connection – for two people sitting together in a room, one of them with the freedom to speak her mind, knowing the other is paying careful and thoughtful attention – but I don’t know what that substitute might be. It is, at the heart of things, a relationship, and for me it has been the key to every other relationship I hold precious. Often, I’m navigating my life through uncertain, even threatening waters – I need the people in my life to tell me what’s safe, what’s real, and what’s worth holding on to.” (p.331). Saks may be considered the ideal spokesperson for those who may believe one can overcome schizophrenia, but she honestly confronts that notion with her own experiences of both success in managing her illness and constant reminders of the limits and challenges she must deal with. “My life today is not without it’s troubles. I have a major mental illness. I will never fully recover from schizophrenia. I will always need to be on antipsychotic medication and in talk therapy. I will always have good days and bad, and I will get sick.” (p.335). A friend of Saks asked her if there were a pill that would instantly cure her, would she take it. She thought of the poet, Ranier Maria Rilke, who would decline psychoanalysis saying, ” don’t take my devils away, because my angles may flee too”. And she responds, “My psychosis is a waking nightmare , in which my demons are so terrifying that all my angels have already fled. So would I take the pill? In a heartbeat.” (p.336). Esme Weijun Wang’s book is a collection of essays. As such it is different from most other memoirs about schizophrenia. The essays do not necessarily form a cohesive picture of the collected schizophrenias or of Ms Wang’s experiences as a person with a diagnosis of schizoaffective disorder. Her first essay, “Diagnosis”, does, however lay the groundwork for both an understanding of the background and context of various diagnostic categories and her own experience with her particular diagnosis (es). The other essays provide a combination of her ongoing struggles with her disorder and commentary of the psychiatric and psychopharmacological cultures. ” Schizophrenia is the most familiar of the psychotic disorders. Schizoaffective disorder is less familiar to the layperson and so I have a ready song -and- dance that I use to explain it. Ive quipped onstage to thousands that schizoaffective disorder is the fucked-up offspring of manic depression and schizophrenia, though this is not quite accurate: because schizoaffective disorder must include a major mood episode, the disorder may combine mania and schizophrenia or depression and schizophrenia.”(p.10). Wang’s last two essays, “Chimayo” and “Beyond the Hedge”, report her somewhat flailing attempts to identify a diagnosis she can fit on for size, such as the possibility that she may have “neuroborreliosis” (late stage Lyme disease) rather than schizoaffective disorder, and her attempts to align her experiences with spirituality- that her illness might be a “spiritual gift”. Wanting to have her illness have some meaning, she expresses what many others with any illness likely feel, “In my illness I became hungry to understand suffering; if I could understand it, I could perhaps suffer less, and even find comfort in the understanding. What I have found difficult is not seeking an escape hatch out of pain, whether that be pills, alcohol, or the dogged pursuit of a cure. In suffering, I am always looking for a way out.”(183). I venture into my reflections with several caveats and some wariness. Of all mental illnesses, schizophrenia may be the most represented (and misrepresented) and controversial psychotic disorders. There continue be a number of misconceptions about schizophrenia and the long standing debate between the strictly medical diagnosis and some psychosocial/familial interpretations of what might be basic causes of schizophrenia continues to be a controversy. I will discuss this as I move through the sources mentioned above. My plan is to provide some background about the history of diagnosing psychotic illnesses, focusing particularly on schizophrenia, then mention what are currently considered various schizophrenias in the Diagnostic and Statistical Manual (DSM V), and then to move to insider accounts. For readers who would like to begin investigation of some of the sources I mention, I suggest that you begin reading Esme Weijun Wang’s first essay , “Diagnosis”(p.3) in “The Collected Schizophrenias” (2019). She provides an up-to-date analysis of the different types of schizophrenia diagnoses in the context of her own experience (currently) with schizo-affective bipolar type disorder. I will also begin my probe into the insiders’ stories with her essays. I will then discuss the classic current account of personal experience with schizophrenia by Elyn R. Saks, “The Center Cannot Hold” (2007). “Percival’s Narrative” is likely the first known insider account, since John Percival kept a journal while he was committed to a mental institution from 1830-1832. I will discuss this account based on Gregory Bateson’s commentary, which will also lead into some discussion about Bateson’s notion of the “Double Bind” and other psycho-social interpretations of the bases of schizophrenia. The classic “Operators and Things” (1976) by Barbara O’Brien may give the reader the best “inside” feel for what happens to the mind and person who has schizophrenia. I will share some or her descriptions of her hallucinations and her journey with schizophrenia. “Two Accounts of a Journey Through Madness” (1978) by Mary Barnes, who had schizophrenia, and her psychoanalyst, Joe Burke, may be the only insider account which includes both patient and therapist. This document is also unique in it’s approach to treatment which is based on the R.D.Laing and Tavistock Clinic in London concepts of de-stigmatizing schizophrenia. I will discuss this as well. Buelah Parker was a psychiatrist and psychoanalyst who reports her experience working with a particular American family in “A Mingled Yarn” ((1979). Parker’s framework represents an example of the family systems interpretations of the psycho-social causes of schizophrenia, which I will discuss in the context of Bateson’s “double bind” theory and the family systems/family therapy movement. “Is There No Place for Me” (2014) is not strictly an “insider” account, because Susan Sheehan is not a patient or therapist. She is a journalist. But her ethnographic approach captures the experiences of Sylvia Frumkin’s insider story of living with schizophrenia with amazing insider documentation. Sheehan practically lived with Sylvia during two years of her mental institution experience. I am referring to people who are inside of psychotherapy as either patients or clients and as helpers – primarily psychotherapists and psychiatrists. There is a genre of memoirs by former and current people with some degree of mental illness. The illnesses vary but are primarily about living with a diagnosis of schizophrenia, bipolar, depression, and types of personality disorder. I will be reviewing and commenting on all of these and possibly some other illnesses. There is also a genre of case studies or “case stories” written by psychotherapists, psychoanalysts, psychiatrists. I will also review and comment on some of these. There is a third type of insider genre – very unusual- of a combination of a patient’s account and that of the therapist’s in the same document. The primary example of this genre is “Two Accounts of a Journey Through Madness” (1978) by Mary Barnes and Joe Burke, which I will review later. Finally, there are a few examples of writers who have had and continue to have mental illness and who are also helpers – psychotherapists or psychiatrists. Lauren Slater, whose books I reviewed earlier, fits this category , as does Kay Redfield Jamison, who has written several books about her own mental illness and the burden of depression. I will review her work when I focus on depression. Non-insider (social scientists, historians, philosophers, journalists) accounts can sometimes resemble insider accounts when a degree of imbeddedness or ethnographic involvement captures the authenticity of the inside experience of being mentally ill and living with this illness – both psychologically and within societal structures, such as mental institutions. I will also comment on some of these. Louis Breger’s “Freud: Darkness in the Midst of Vision” (2000) is definitely one of the best biographies I have read. For more updated material than what Peter Gay had available to him and a more psychoanalytic view of Freud and his ideas, Breger’s biography may be the best blend of psychoanalytic insights and critical appraisals of Freud. Mark Edmundson, in his review of Breger’s biography in the New York Times, December 2000, says this: “Breger strives to put himself in a middle position between what he takes to be the hagiographic approaches of Freud’s best known biographers, Ernest Jones and Peter Gay, and the bitter, albeit often eloquent, denunciations of Frederick Crews.” I would not agree with Breger that Jones and Gay were, strictly speaking, hagiographic, though they are largely supportive and considerably less critical than the Freud “bashers”, such as Crews. An example of Breger’s psychoanalytic interpretations of Freud, is his argument that Freud’s attitudes and ideas about women stem from early traumas in Freud’s life. Mark Edmundson says, ” Breger claims that Freud’s mother neglected him as one new sibling after another came into the picture.To Breger, Freud’s derogatory theories about women were a form of long postponed revenge, and example of neurotic darkness in the midst of a valuable vision”. Breger includes a chapter on “Background and Sources” which provides an excellent survey of current (as of 2000) and likely future directions of psychoanalysis. He supports my own view about the variety of Freud chroniclers: “Within present-day Psychoanalysis there is a wide range of views and positions, from the most devoted to the sharply critical. All these analysts have at least one thing in common: work with patients in analysis and psychotherapy. there is also a large group – philosophers, literary critics, historians, experimental psychologists – who have written about Freud with little or no clinical experience. Each of these commendations brings their strengths and limitations: no position guarantees that the author will arrive at a coherent interpretation of Freud and his work.”(p.375). Edmundson (2000), in his review of Breger’s biography, says “psychoanalysis has, and probably always will have, its manifest weaknesses, but it still stands as a distinguished secular blend of literature, philosophy and pedagogy that has the power to help people change their lives for the better.” This statement and Breger’s and Edmundson’s view of contemporary psychoanalysis has been challenged by a number of Freud’s critics, the majority of whom are not psychoanalysts. This is a topic which I will return to in future posts, since much has ensued with the psychoanalytic movement since the Breger biography and Mark Edmundson’s review of it. One of the best and most thorough biographies of Freud is Peter Gay’s “A Life for Our Time” (1988). 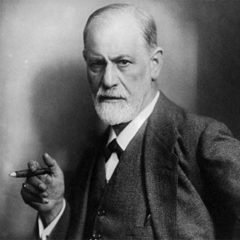 Gay may have been the most qualified of Freud’s biographers as he was trained in psychoanalysis, and was a professional historian and biographer. While some of the most extreme of Freud’s critics argued that Gay was insufficiently critical of psychoanalysis and of Freud’s ideas and his personal behavior, I believe Gay provides a relatively balanced analysis and critique of all of these. At more than 800 pages, Gay’s biography offers considerably more than an introduction to Freud’s life and ideas as well as the development of psychoanalysis. Gay also includes a 38 page biographical essay, which is indispensable for Freudian scholars. Wollheim’s biography, originally written in 1971, with a 1991 second edition is , perhaps, the best brief introduction to Freud’s life and thought, and the development of psychoanalysis. I would recommend Wollheim’s “Freud” for it’s analytic strength and fair treatment of the many strengths and weaknesses of Freud himself, as well as the project and prospects of psychoanalysis. A number of more recent biographies of Freud have used the Jones and Gay biographies as well as that of Wollheim in building their own projects.